Pitch’s certainly not one for taking chances, as she brings a crazy arsenal of ranged weapons in the shape of bricks and rainbows among other things (who makes such insane weapons? ); turns out not long after the game has begun, that she needs every advantage she can get, as the screen quickly fills with enemies of various shapes and sizes. Tiny Santa robots (I’m guessing they’re robots) along with strange.. no, I can’t describe the strangeness of the enemies.. So let’s just say they’re a really odd bunch, with the boss encounters being even more ridiculous – complete with a Teenage Mutant Ninja Turtles reference. I kid you not. But strange and ridiculous alike, they all have one goal: Stopping Pitch from ruining Christmas! What’s her problem with it anyway? I love Christmas! Great food, presents, spending time with one’s family. Maybe she’s got an evil stepmom? An evil sibling? Who knows.. oh wait, I do, ’cause I played the game. Am I going to tell you? Of course not! The game is free and this guy, with the help of Niklas Ström for the music (great stuff), put quite a bit of work into it. With that in mind, do you really expect me to spoil the (although simple) plot? I don’t think so, Tim. 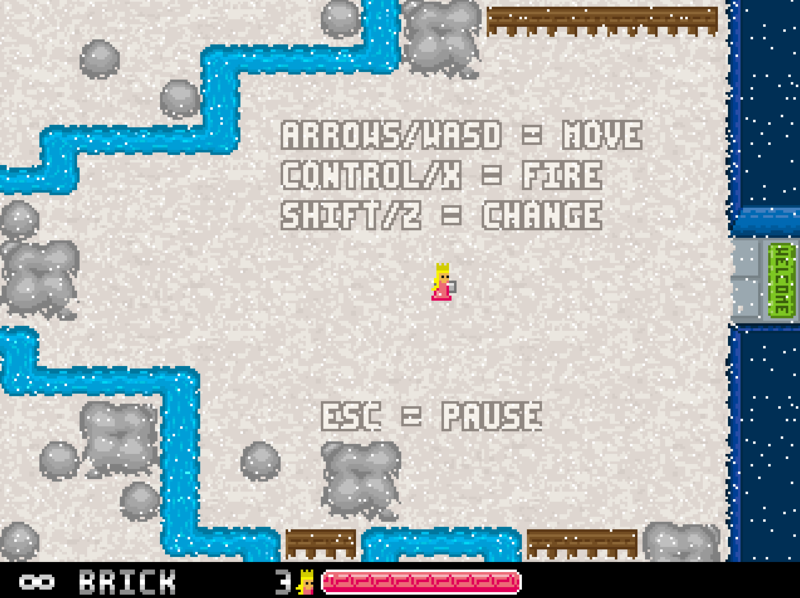 Controlling Pitch is the simplest task: She moves up, down, left and right, with a key to change her current weapon and another to fire it (told you it was simple). It doesn’t take long for the complexity of simply surviving to ramp up, however, especially if you’re foolish (yes, I said it, but chances are I have a point) enough to play on the highest difficulty, rightfully called “Goddess of Explosions”; even I have not been able to finish that one.. damn you, robot Santa! It would also have helped quite a bit with dual-stick controls, though with retro and old-school written all over it, I guess it’s appropriately fitting. 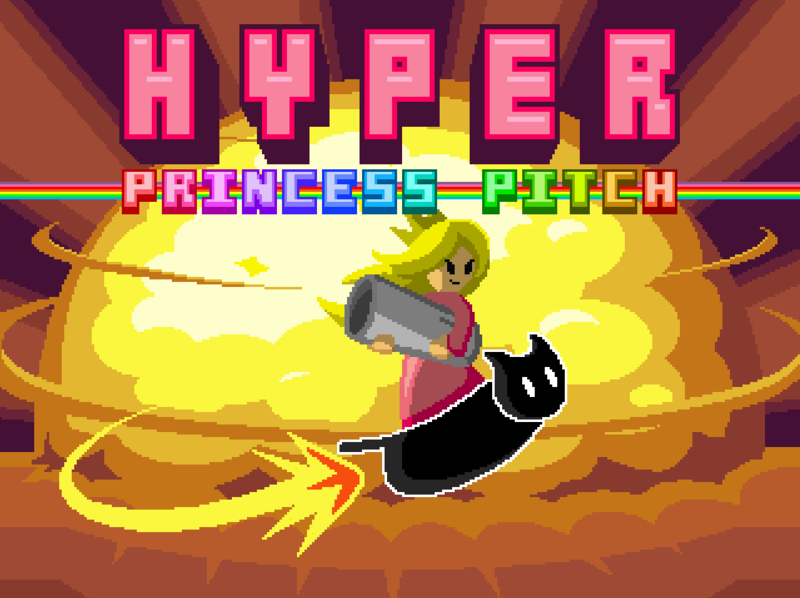 “Hyper Princess Pitch” looks like something taken straight out of the 80’s, and as I recall.. it wasn’t until the 90’s that dual-stick arena-shooters surfaced with the popular Smash TV. Then many years later, we got retro classics on current systems, the likes of Geometry Wars for 360 owners, and Super Stardust HD if you had a PS3 instead – but that’s a story for another time (maybe). 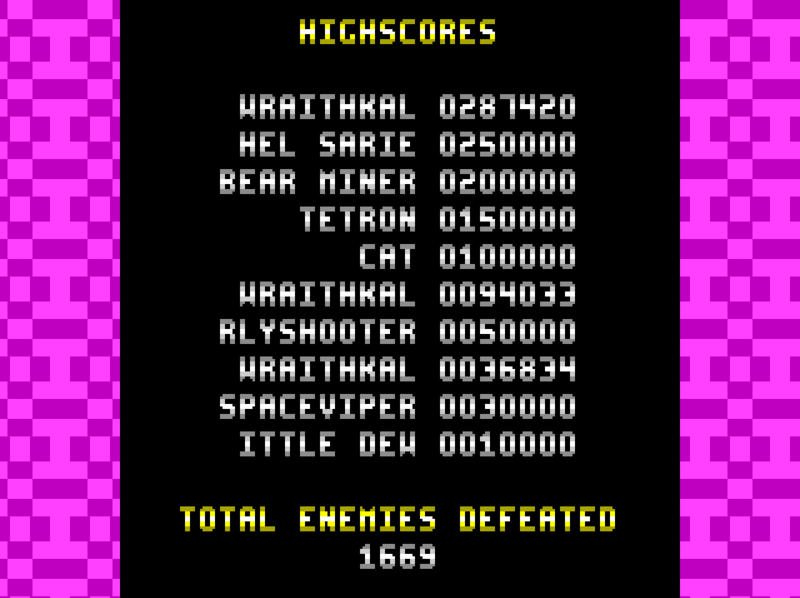 Being able to choose from several paths through Santa’s facility helps increase the replay value, but with this being the kind of game it is, most will likely be playing it for a high score after the initial trip. Would be nice to someday finish it on Goddess of Explosions, though..
WINE users: the GM5 version uses DirectDraw, while the GM7 version uses Direct3D. Both versions use DirectX. Try playing the game windowed for best results. 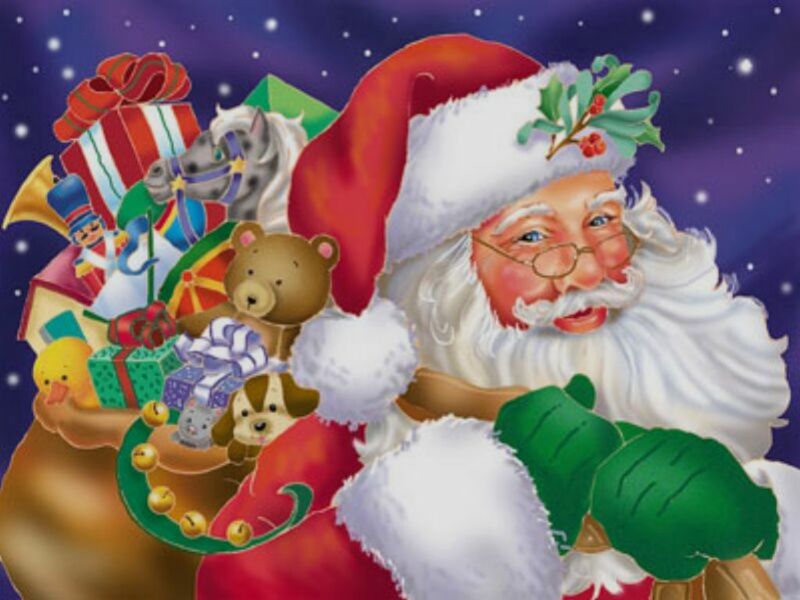 Since today’s the 24th of December, a lot of you are likely busy with last-minute Christmas preparations.. so I shall leave you to it with one last thing: Don’t forget that Santa’s not a robot outside this game, but instead he’s quite the jolly old man with a beard that’s way too big, and most importantly.. PRESENTS!